“The energy of the October New Moon is going to guide us away from the material and external world and into a deeper, more intuitive realm. Here we will be able to receive new ideas, new inspirations and new creative visions. This New Moon is about reconnecting with who you are, celebrating yourself and learning how to love and accept yourself exactly as you are. “Your emotionally sensitivity can lead to a strong intuition and even psychic abilities. Sometimes, this aspect alone results in biased impressions but the Sun involved with a trine to Neptune ensures more accurate psychic impressions, lucid dreaming, and clear vision into the future for making plans. Spirit energy will be high around this New Moon, so it is important to protect yourself energetically and stay open to any Divine messages or inspiration you may receive. In fact, if there is something that you have been looking to receive guidance on, this New Moon will allow you to take the journey within so you can hear the answer radiating from your own soul. 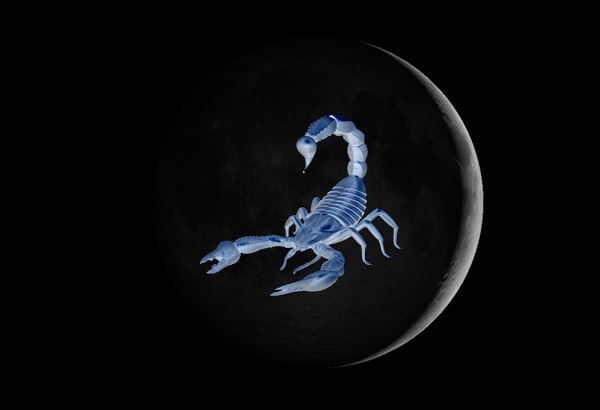 The October New Moon is beautiful, magical and supportive, so allow its energy to guide you. Allow yourself to be taken by the energy and see where you travel to. DON’T FORGET TO SHARE THE MAGIC OF THE NEW MOON WITH YOUR FRIENDS AND FAMILY!